Have you ever used a stereo-to-mono “Y-cable” or TRS (Tip/Ring/Sleeve)-to-TS(Tip/Sleeve) cable for combining two audio outputs together, or for summing the Left and Right channels from a single stereo output to mono? For example, maybe you wanted to connect the stereo outputs of your computer, CD player, iPod, iPad, Android tablet or phone into a single 1/4″ input channel on an audio mixer. Or maybe you needed to sum a stereo signal to mono for connecting to a single subwoofer. Or maybe you were mixing a song in your home recording studio and needed to check your mixes in mono on a single “grot box”, like the Auratone or one of its clones (Avantone Mix Cube, Behringer Behritone C5A, C50A, etc.). If you’re anything like me, you’ve probably done this, but what you may not know is this: a Y-cable or stereo-to-mono cable used to SPLIT a signal into two outputs is being used properly. A Y-cable used to MIX or COMBINE two signals into one input is being abused, and may even damage your equipment! Here’s the rule: outputs are low impedance, and must only be connected to high impedance inputs. You should never tie two audio outputs directly together! If you do, each output tries to back-feed into the other, and drive the very low impedance of the other output, forcing both outputs into current-limit. At best, this can cause signal loss, audible distortion (popping and clicking sounds), and weird phasing effects. At worst, over time it can actually cause damage to your equipment. I learned this the hard way when gigging with my band. We were playing at a large outdoor picnic and using our own PA system. We normally run some backing tracks (mostly synth pads) off of one of our band member’s iPhone. In this case, we were using an Android tablet instead. We connected it up to the system using a HOSA CMP-105 cable. I had used this same cable in the past with a couple of other devices without any trouble. But when we started the tracks this time, we were getting constant pops and clicks, the sound was distorted, and everything had a weird phasey sound to it (think phaser pedal for an electric guitar). We fooled with it for a few minutes, but never could find the problem, so we ultimately had to abandon using those backing tracks for the gig. I later did some research and discovered that what I needed (for the reasons listed above) was a stereo-to-mono summing cable with resistors to prevent the outputs from back-feeding into each other. I began the search, but lo and behold–I could find no such cable readily-available on the market. 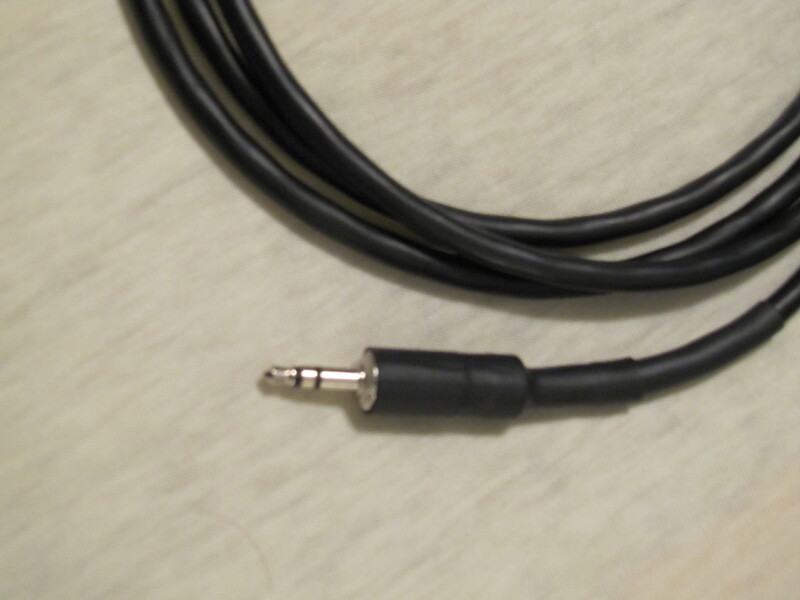 It’s a widely-known problem, but for some reason no one has ever addressed it with a ready-made cable. There are cables on the market that *claim* to do it, including the Hosa CMP-103, CMP-105, and CMP-110. But none of them do it *properly*. These cables simply short the two outputs (tip/ring or left/right) together, and do not utilize any resistors. This works ok on some devices, but doesn’t work at all for others. And given enough time, even the outputs on devices where it *appears* to work could eventually be burned out. When I couldn’t find a ready-made cable to do this, I decided to build my own. The cable pictured above aims to solve the problems listed above. 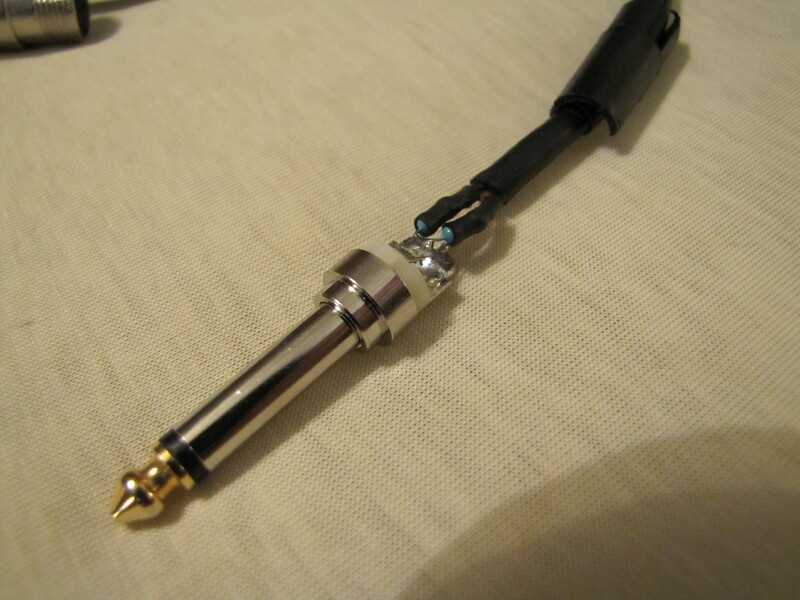 It’s constructed of 6′ (six feet) of low-profile, balanced shielded microphone cable. On one end is a 1/8″ (3.5mm) stereo TRS plug for connecting to your iPhone, iPod, iPad, Android tablet or phone, computer sound card, headphone output, etc. 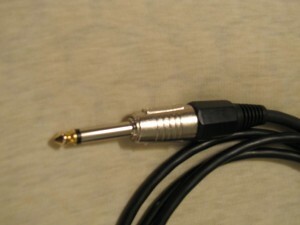 On the other end is a 1/4″ (6.35mm) mono TS plug for connecting to the input of your mixer, direct box, subwoofer, powered monitor speaker, or other device. Inside the 1/4″ plug are two passive resistors (see pics) that are used to sum the signals from the left and right output channels, sending the combined signal to the tip of the plug. The sleeve is connected to the shield of the cable like any normal unbalanced signal. So you get a perfectly summed mono signal with no distortion or phasing, and it won’t damage the outputs of your device. You’ll also note from the pictures that I used high-quality connectors and heat shrink tubing for strain relief on both ends of the cable. I also used some smaller heat shrink tubing inside the 1/4″ connector to cover the resistors and solder joints to prevent any shorts. A similar cable could also be built in a number of different configurations using different connectors (XLR, 1/4″, RCA, etc.) one one or both ends of the cable. The first few of these I built using some standard black mic cable, but I later discovered some nice gray mic cable that was just a bit thinner and easier to work with. So the last few I’ve built using it. I used the same connectors and heat shrink on both the black and gray cables. 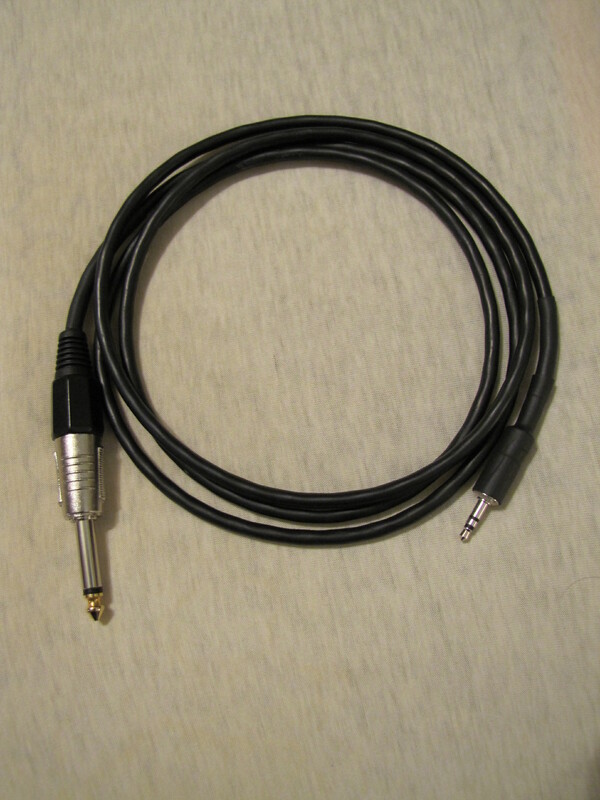 If you’re interested in purchasing a cable like the one shown above (or have questions about building your own), check out the links below. 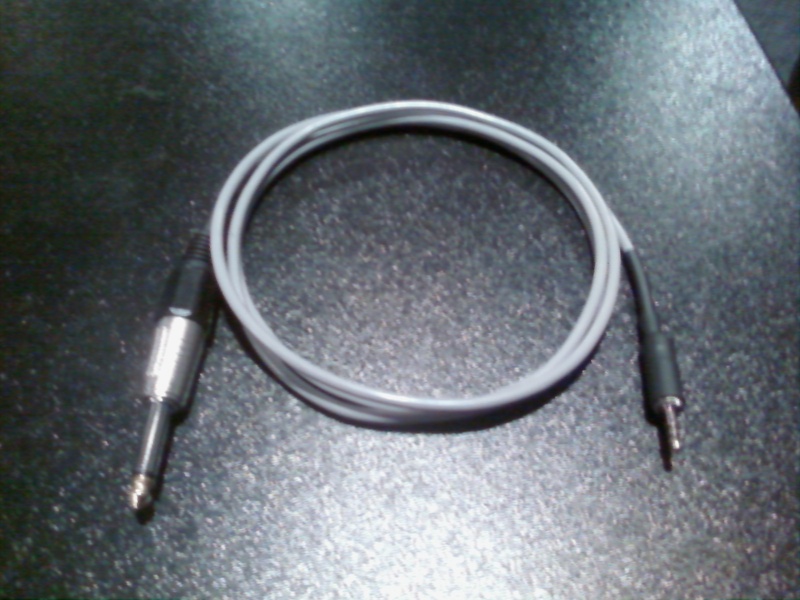 • My Ebay listings, where I often keep one of these cables up for sale. • Contact me, if I don’t have any cables listed on Ebay, or if you need a cable with different connectors (XLR vs. 1/4″) or a different configuration (balanced vs. unbalanced).